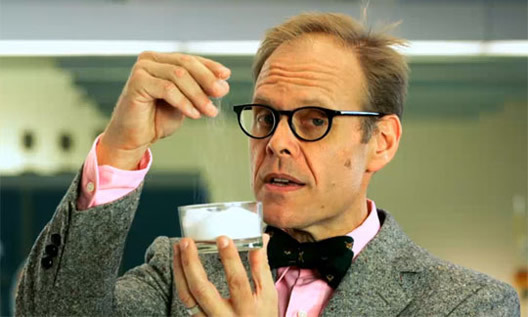 I've always liked Alton Brown, host of the popular Food Network show Good Eats. Unlike most chefs, he doesn't just show you the how; he explains the why, and he does it by delving into the science behind the cooking process. In a recent interview with Eater.com, Brown discussed food, but he also opened up about his faith. I especially liked his response when asked about being a born-again Christian: "Yeah, 'born-again' is kind of an odd term because that's like saying a see-through window. But yes, I am a Christian."